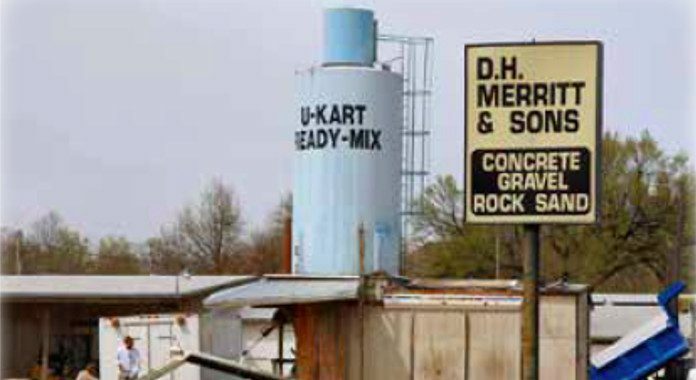 Merritt Ready Mix – Lincoln, Nebr. 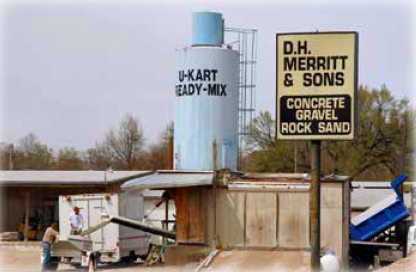 Merritt Ready Mix started as a sand and gravel supplier before moving into small batch concrete production. They now sell concrete, sand and gravel in the Lincoln, Nebraska area. They have been an LE customer since 1999. 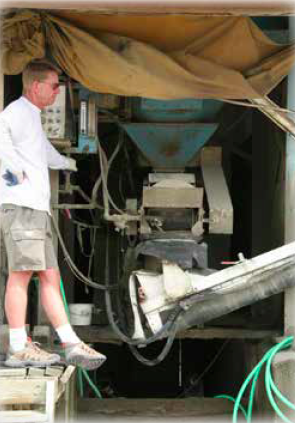 Merritt operates a small batch concrete plant manufactured by Cement Tech, Inc. in Indianola, Iowa. This equipment mixes a three yard batch of concrete and is used as needed on a daily basis during the months of March through December. 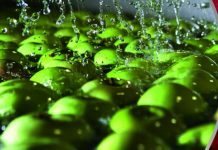 The equipment is operated in very hot conditions during the summer months and very cold conditions during the winter months. 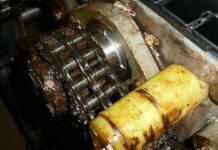 They were experiencing bearing failures and were replacing them at mid-season, as well as the end of the season. 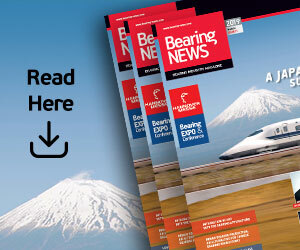 LE’s Almagard® Vari-Purpose Lubricant (3752) was recommended to be used on the bearings. Almagard 3752 is very tacky and has excellent water resistance. It also contains rust and corrosion inhibitors, extreme pressure additives and Almasol®, LE’s exclusive wear reducing additive. Bearings on the auger pump would need to be replaced at mid season and at the end of the season. Water wash down was removing the commercial grease causing the bearings to fail. With Almagard 3752, the bearings lasted all season. The customer replaced the bearings only at the end of the season and was pleased to see how good they looked. Thank you to Jay Merritt, owner, and to John Krehmke, LE lubrication consultant (pictured), for providing the information used in this report. 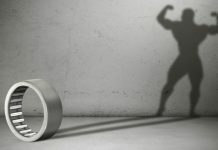 Visit www.le-international.com for more information about Almagard® Vari-Purpose Lubricant. 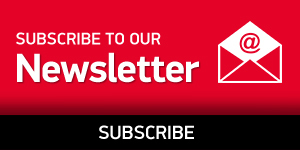 Previous articleAre Solid Lubrication Bearings Set to Revolutionise Off-road Bikes?